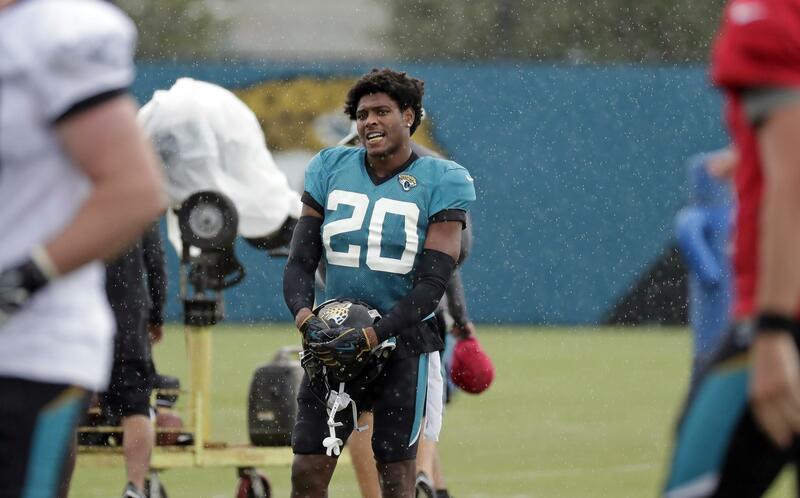 JACKSONVILLE, Fla. – Jalen Ramsey is making headlines from his couch. Three days after being suspended for screaming obscenities at reporters, the Jacksonville Jaguars All-Pro cornerback is criticizing several NFL quarterbacks – and praising a few. “I think Matt Ryan’s overrated,” Ramsey said. “You can’t tell me you win MVP two years ago, and then last year, you a complete bust, and you still got Julio Jones? There’s no way that should ever happen. I don’t care. You know what that tells me? That tells me Shanahan left, went to San Francisco, got (Jimmy) Garoppolo, made Garoppolo this big thing. And now Garoppolo is a big name – and now (Ryan) has this bad year? Published: Aug. 15, 2018, 1:34 p.m.